Looking for a place to launch, nurture and scale your organization or business? We got you. We share space, resources and laughs as we work separately and collaboratively. 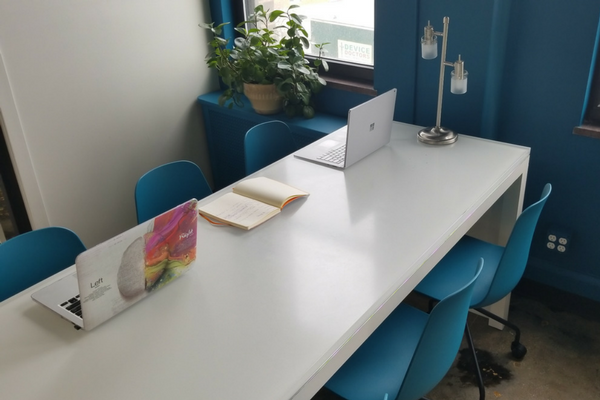 Whether you need a sometimes spot (Hot Desk) or flexible space for your growing team (Private Office), we have a budget-friendly membership plan sized just for you. Find a plan that fits your schedule, team & budget. All membership plans are month-to-month. Our offices are in a beautiful pre-war building in historic downtown Bloomfield. We are minutes from the 30 minute direct train to NY Penn Station and surrounded by diverse, neighboring cities like Jersey City, Newark and Montclair. Lots of shops, restaurants, and Bloomfield College are all within walking distance. The hot desk flex 10 plan includes 10 days to use as you see fit. This plan is perfect for people that have busy travel schedules or need space to work with a flexible schedule. Hot desks are perfect spaces to get work done for drop-ins and members alike. There's plenty of desk space to spread out and get comfortable as well as accessible plug-ins for your devices. Our Pack Leader plan is perfect for the entrepreneur that is growing a business and needs a space to work from that has amenities included. In need of a bit more privacy? 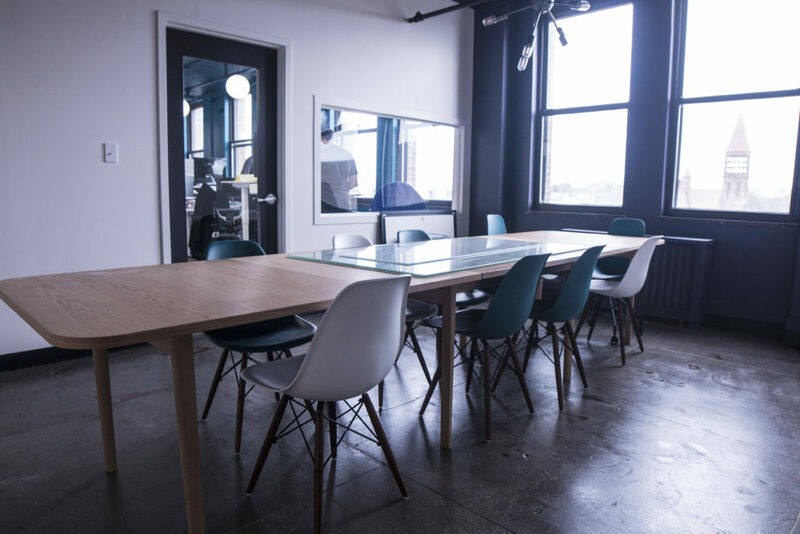 Contact us about memberships for dedicated desks or full private offices within [IN]MOSAIC. [IN]MOSAIC is run by a group of professionals in technology, design, marketing, and advocacy work. We love to offer classes that range a wide variety of topics; everything from Photoshop 101 to fundraising or performing a digital audit! Join us for a class, then host one of your own! From marketing & website development to HR & IT support, we’ve got your back. Take advantage of our community of experienced professionals who can help you get started or tackle a challenge. Our hourly rates are small business friendly and we can work within your means. If you think there is a way we can work together, we want to hear how. We have relationships with artists, designers, developers, attorneys, sales professionals, and other businesses in the area. Let us help you promote your business and access cost-saving resources. Grab an open chair at a shared table or hot desk. We have common areas and a kitchen where you can caffeinate, hydrate, or store your cool NKOTB lunchbox. You’ll also have access to phonebooths and conference rooms. 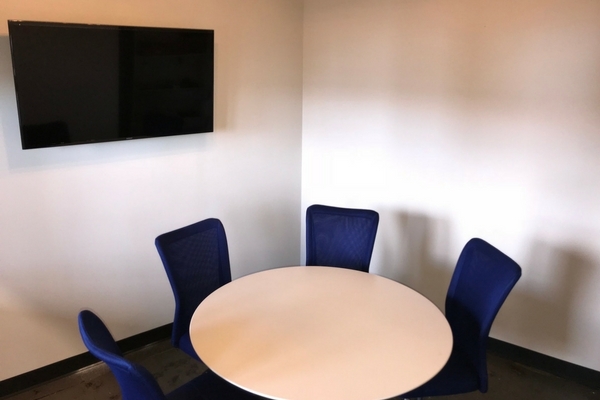 If you need a bit more privacy or space for a team of 2-6 we have different sizes of private offices you can use for the day, the week, or the month! Just bring your A-game! We have 2 different conference rooms that can accommodate up to 20 people. Each room has a flat screen television with hdmi hookups and everything you need to host a meeting or shock and awe your soon to be clients! Looking for a budget-friendly event space? Host your upcoming event or conference in our space. 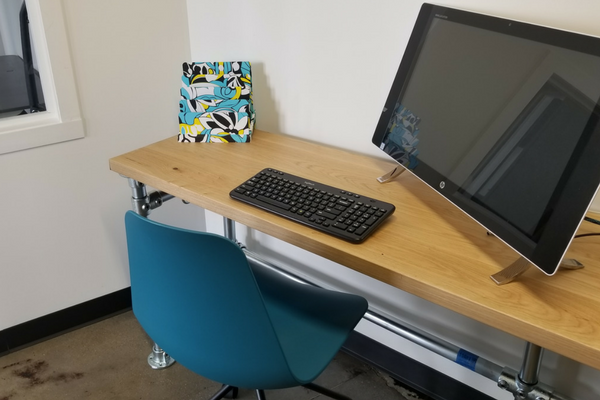 Come by for a free trial day including: ridiculously fast WiFi, fresh caffeine, and comfortable & professional rooms to meet a client or strategize with your team in a startup atmosphere. Our members come[IN] to utilize the space, amenities, and resources. Together we thrive because we engage each other and take the time to listen, collaborate, and network. As a member, you’ll build off the relationships you develop right here! [IN]MOSAIC was founded by the 3 partners of a digital communications and advocacy firm called MOSAIC. Over the last 6 years, we’ve worked hard to create a collaborative office environment that nurtures creativity AND encourages productivity. An inclusive space. Proud to be a women and minority-owned business.